I first visited Soltis Family Spirits in Thornton, IL back in April 2017. At the beginning stages of building their new distillery there was a bit to see, and a lot to hear. Which is why I went back just last week to check on their progress and learn more about their plans. The story of the Soltis family is an incredible look into Chicago’s prohibition era gangster time period. The Soltis legacy began with Joe Soltis, sometimes spelled “Saltis”. A Chicago gangster known as the “Beer Baron of the South Side” he rubbed elbows with Al Capone as they competed to supply illicit hooch to Chicago speakeasies during prohibition. Through the 1920’s and early 30’s Joe ran a soda factory in Thornton Illinois as a front to his boozy empire. Fast forward to 2014 and the mistake of prohibition is long behind us. But this is where Steve Soltis, Joe’s great grandson comes into the picture. 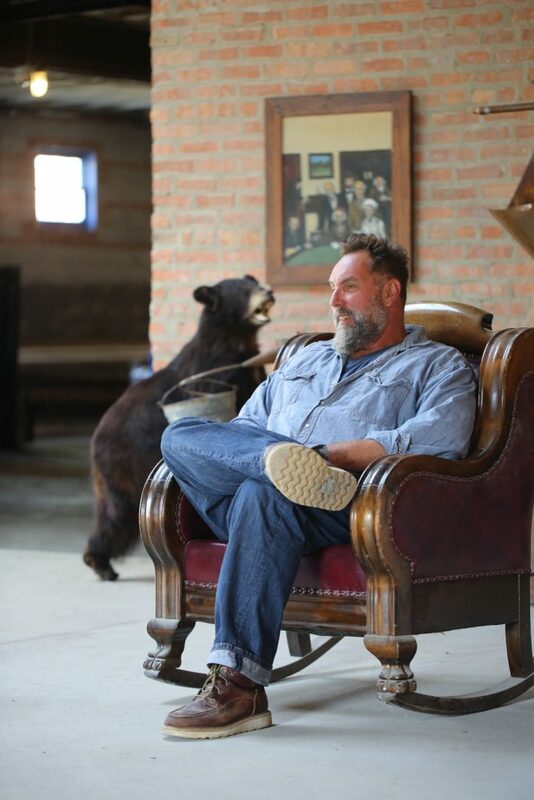 Steve is a man of many talents, having graduated from the School of The Art Institute of Chicago he’s a metal sculptor, a painter, a farmer, and his latest endeavor, building a distillery to revive his family legacy. 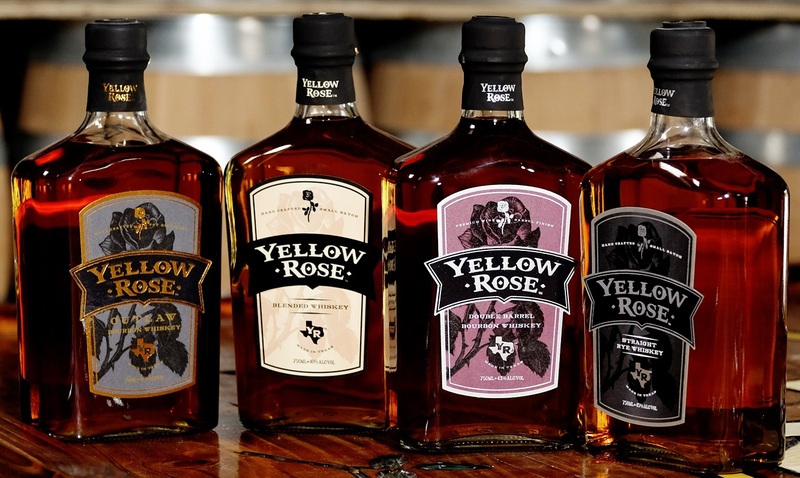 Having experience in the industry Steve initially planned on opening his distillery in Louisiana, where he was living in 2014. As luck would have it Steve’s friend, and now business partner in charge of marketing, Andrew Howell, happened upon a building for sale in Thornton, IL. Do you see where I’m going here? It was the very same building Steve’s great grandfather used nearly 100 years earlier to brew beer and distill moonshine. 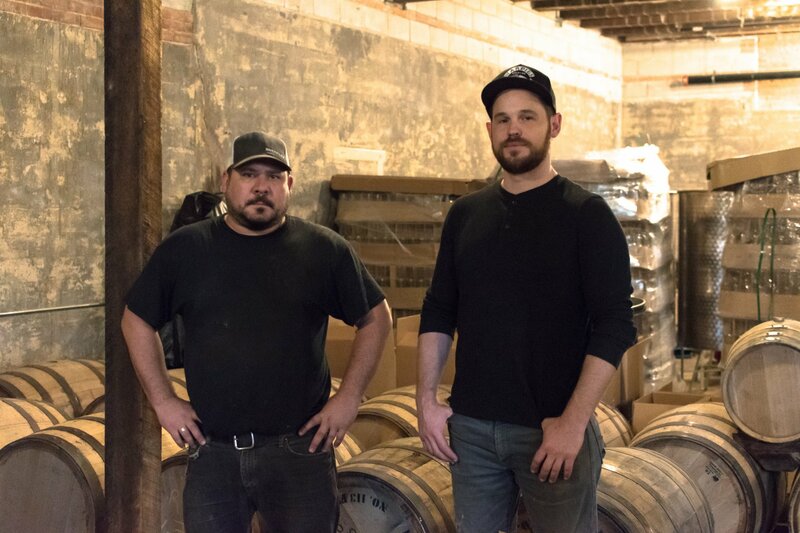 Andrew, Steve, and their distiller Micah Kibodeaux, a Louisiana native with a decade of experience, packed up and moved to Thornton. 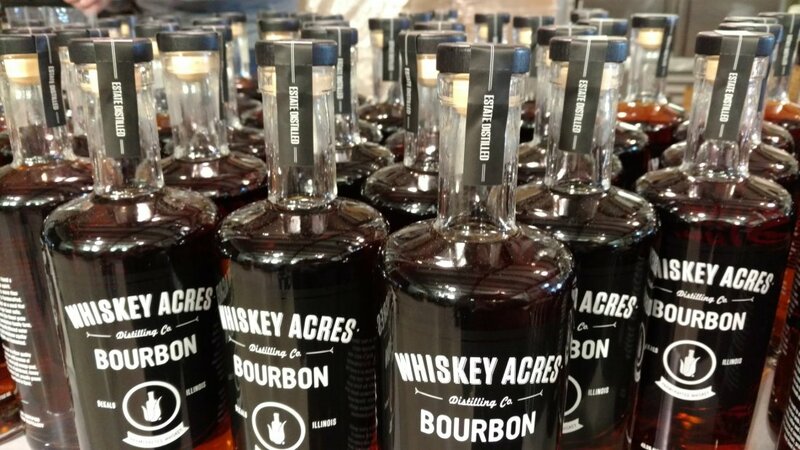 Their fourth business partner, Jake Weiss, is the building owner and investor in the distillery, which is privately owned. 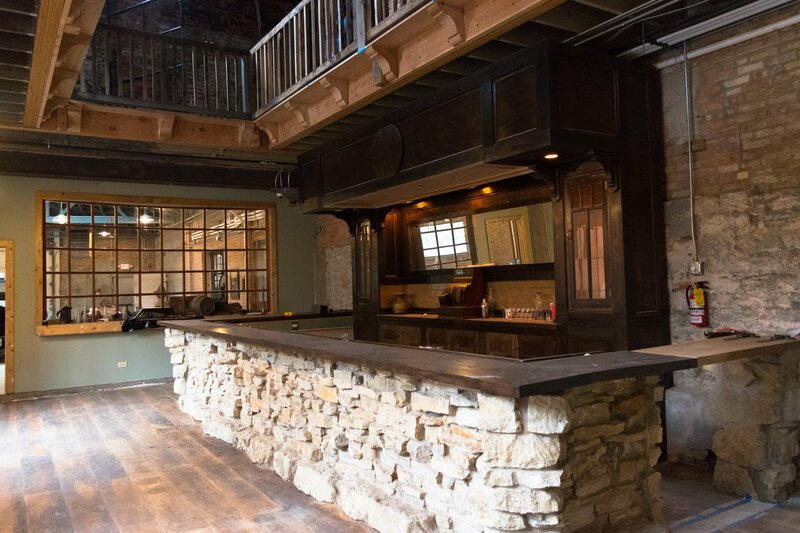 The team got to work restoring the building that is the oldest standing brewery in Illinois into what is now Soltis Family Spirits. The team spent the last 4 years building their dream, literally brick by brick. Or in this case limestone slab by limestone slab. Steve is creative and a craftsman to say the least, he’s designed the new distillery, tasting room, and gift shop himself. He’s also building it himself, by hand, calling in tradesman when necessary. 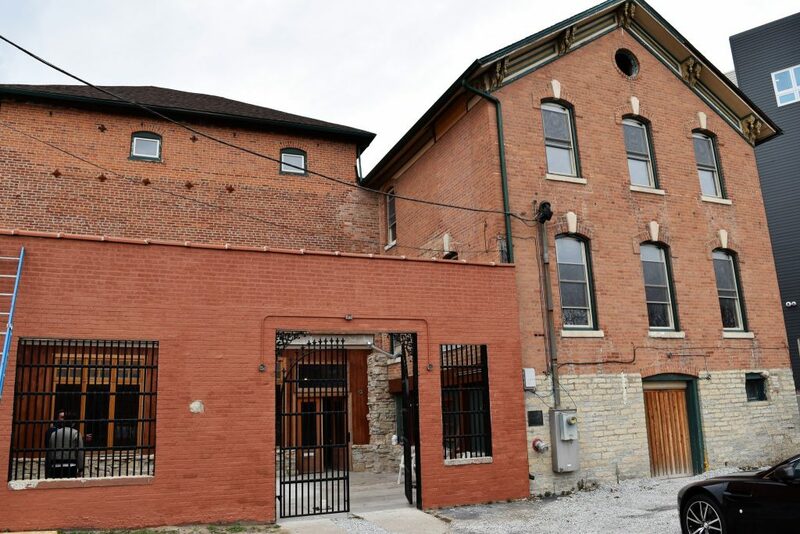 They excavated hundreds of pounds of limestone from beneath the building and tapped into a natural limestone well that supplies water to the distillery, as it did for the breweries before it dating back to the 1800’s. The tasting room bar and front patio were made from their limestone as well. 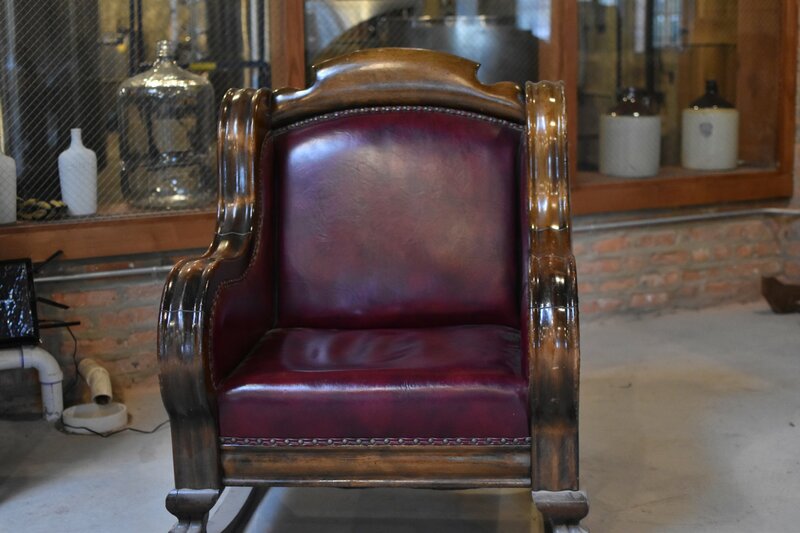 A large leather rocking chair once belonging to Ralph Capone, Al’s brother, sits in the tasting room next to an old floor standing radio fitted with wireless speakers. A large custom stained glass window, decorated with the number 9, sat on the floor waiting to be installed. 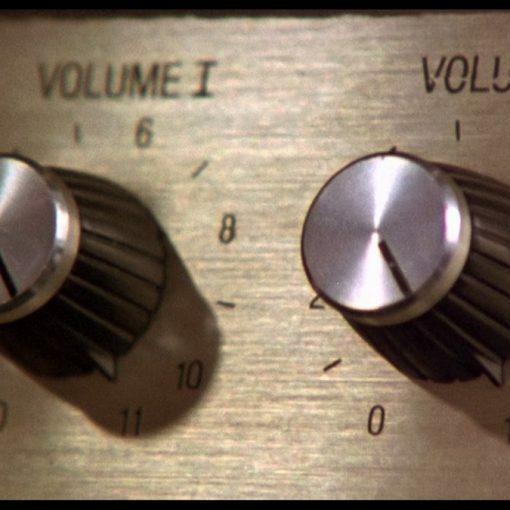 Andrew told me that number is a hat tip to old Joe, #9 on the Chicago Crime Commission’s 1930 “Public Enemies” list, Capone being number one. A 500 gallon copper pot still with separate column and condenser will allow them to fill about one 53 gallon barrel per day. No small barrels here. 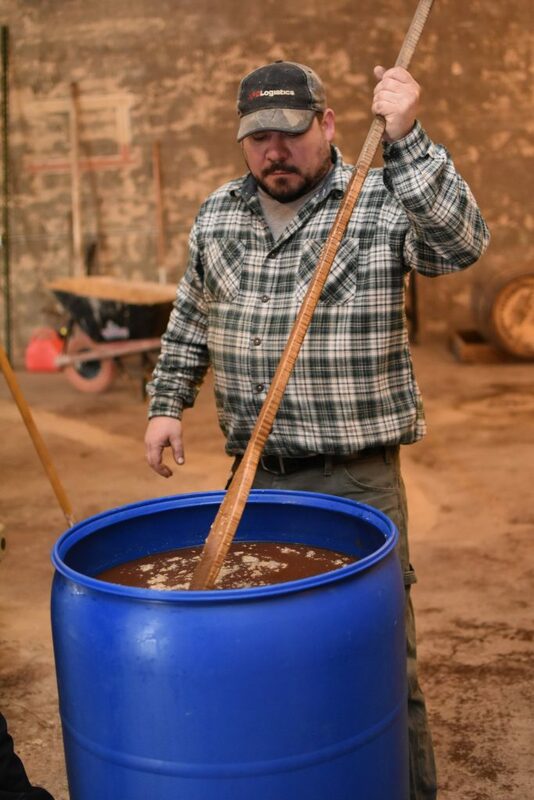 They have the still dialed in and are making spiced rum and bourbon from local grains, with an American pecan whiskey and a gin in their future. They’ll also distill yet to be announced specialty spirits to serve in distillery tasting room cocktails. Mixed with homemade soda and tonic also made from their limestone water. The first bourbon they plan to release will be a straight bourbon, meaning aged at least two years. When I asked about future bourbon releases Micah gave me the answer of a man true to his craft. “We’ll age it to taste, it’ll be ready when it’s ready.”. Micah then went back to building the wooden racks in the back of the building to hold the barrels they are about to start filling. That’s right, he was hoisting huge wooden beams from floor to ceiling, building the racks himself. 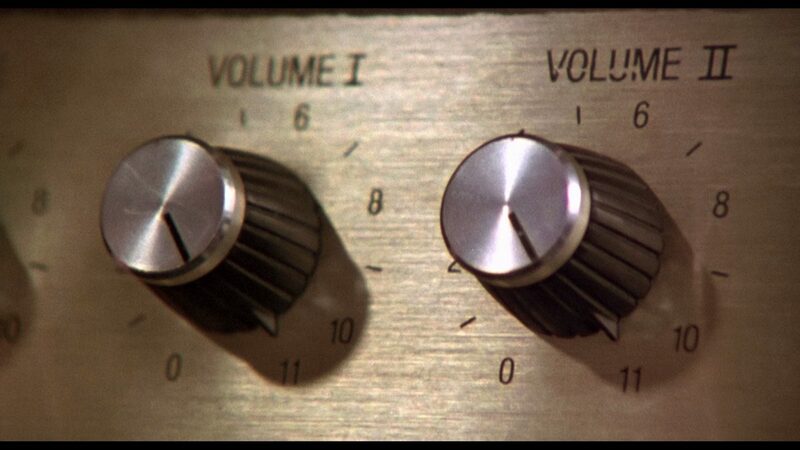 And that’s how they do it at Soltis Family Spirits. As it was 100 years ago it still is today a family operation. 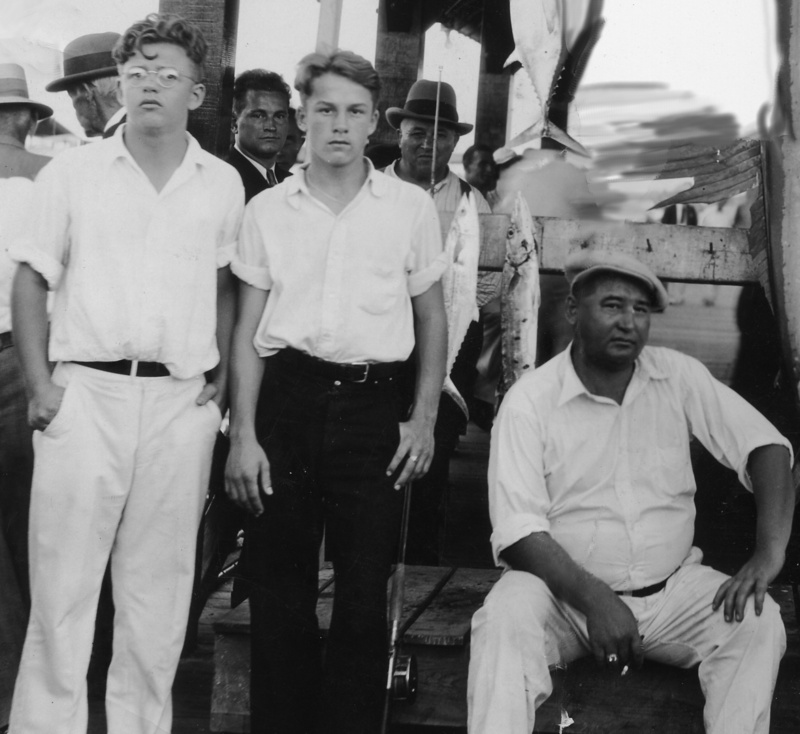 Though the gangsters of Joe Soltis’ crew weren’t related by blood they did run a “family” business so to speak. Today, Steve Soltis and his crew act as a family. They all put in their sweat equity at the soon to open distillery. Building something from scratch they will call their own. 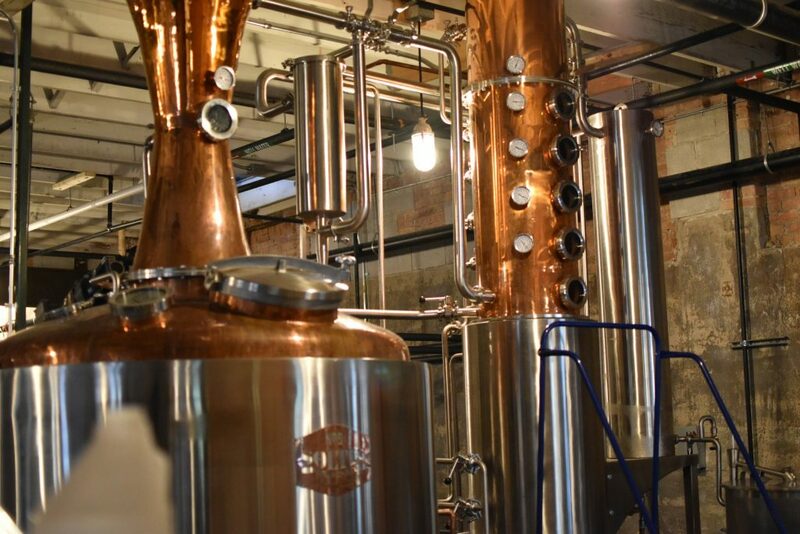 Soltis Family Spirits plans to soft open this December and be open to the public in January 2018. Great article! Long ago, friends of mine used the old distillery as a rehearsal space for their band! We had some fun times there! I always wondered what the history was! Thanks! Previous post Stave & Thief Bourbon Training Came To Chicago Distilling!